Thoroughwort is an erect, simple or few-branched perennial with a woody base and purple stems. The leaves are opposite, simple, deltoid-ovate and serrulate, up to 2" long and prominently 3-veined from the base. The white discoid flower heads are in dense compact clusters which are quite glandular-puberulent. There are disk flowers only and they have the appearance of tiny pincushions, sometimes aging pink. 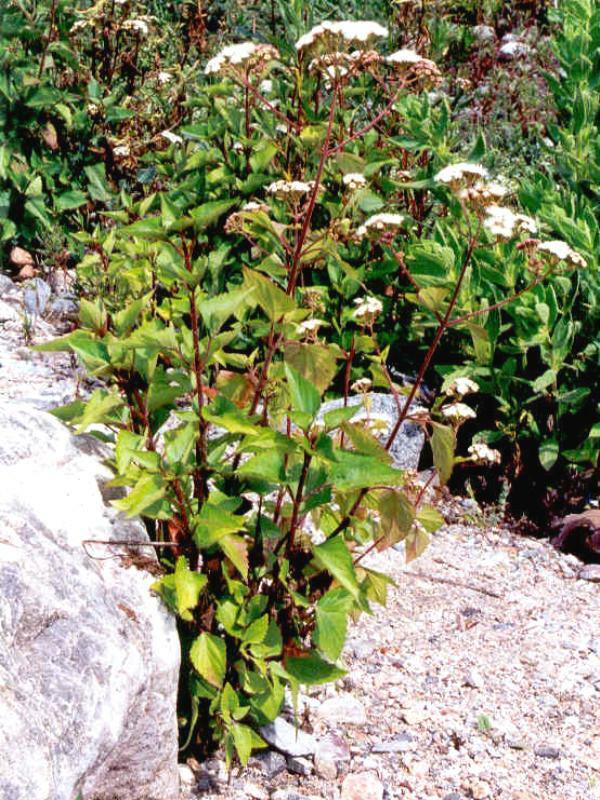 This species is widely naturalized in weedy areas and places close to human habitation, such as shady canyons and along moist stream channels mostly below about 1000'. 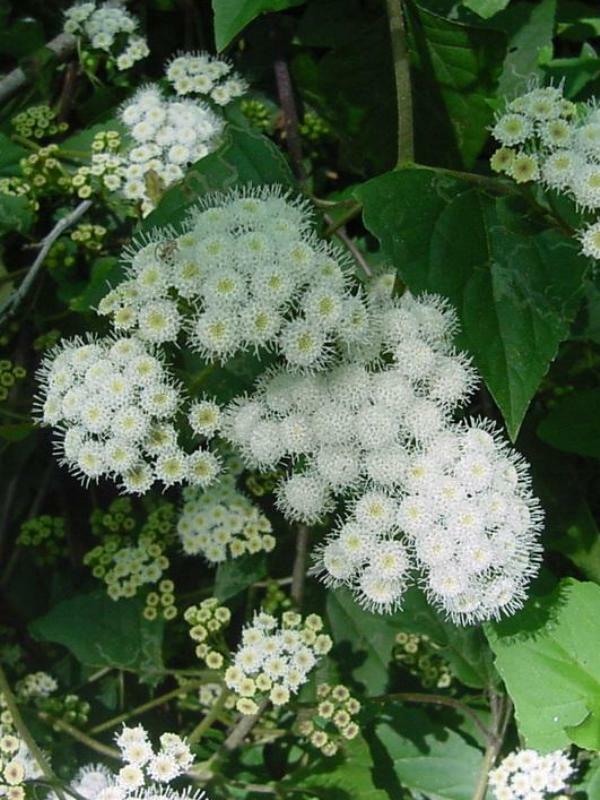 It is a native of Mexico and may be found blooming most months of the year. 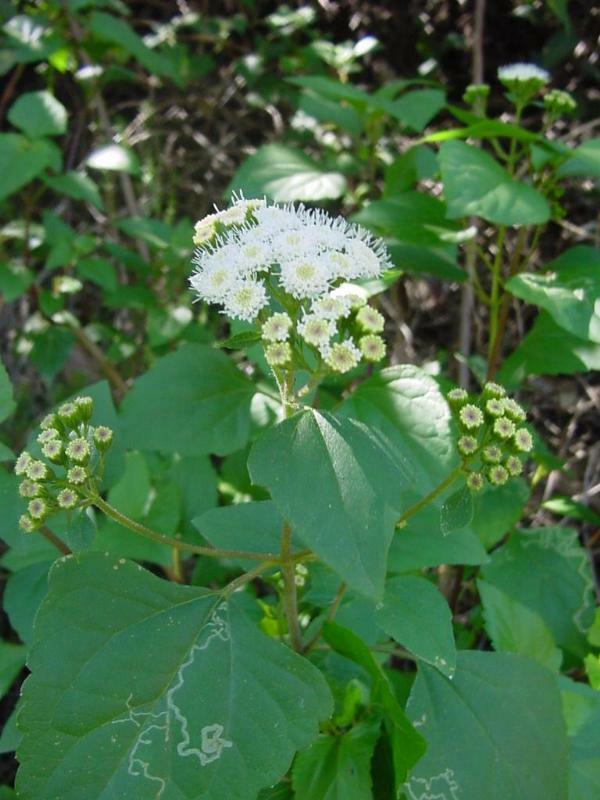 Click here for Latin name derivations: 1) Ageratina 2) adenophora.